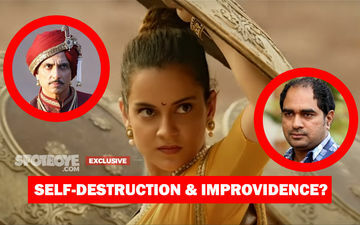 Last night, we brought you the EXPLOSIVE and EXCLUSIVE interview of Manikarnika director Krish who sounded pretty upset with Kangana's interference in the film. The interference can now, in one word, be termed as self-destruction (Day 1 box-office has been just average and certainly not what a 100 cr film requires to stay afloat). 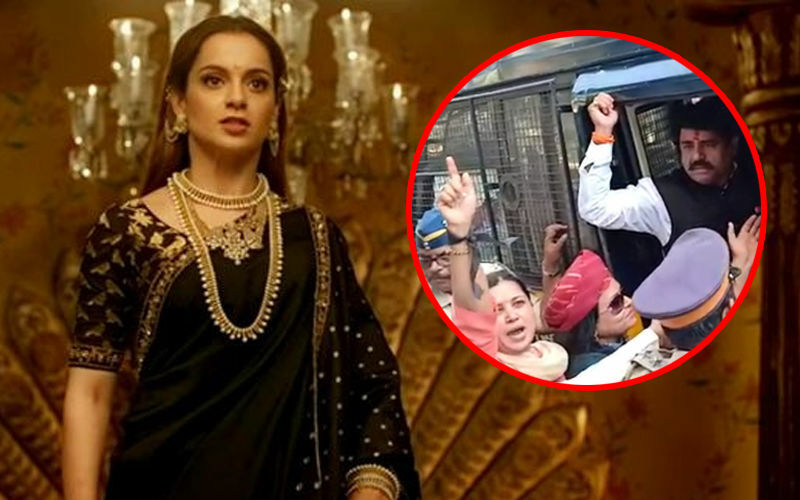 We would once again like to know why Zee Studios and Ease My Trip agreed to cough up money and side with the actress, and made no effort to patch-up with Krish who clearly hinted that he was pushed against the wall by Kangana's haughty ways and producer Kamal Jain's constant backing to her. In that interview produced below, Krish categorically says that he was told by the duo that Zee hadn't liked what he had made. Kangana even told him his work looked like a Bhojpuri film. 1. Will they please stand up and talk if they really told Kangana that they hadn't liked Krish's work? 2. Did they also feel that he had delivered Bhojpuri stuff to them? 3. 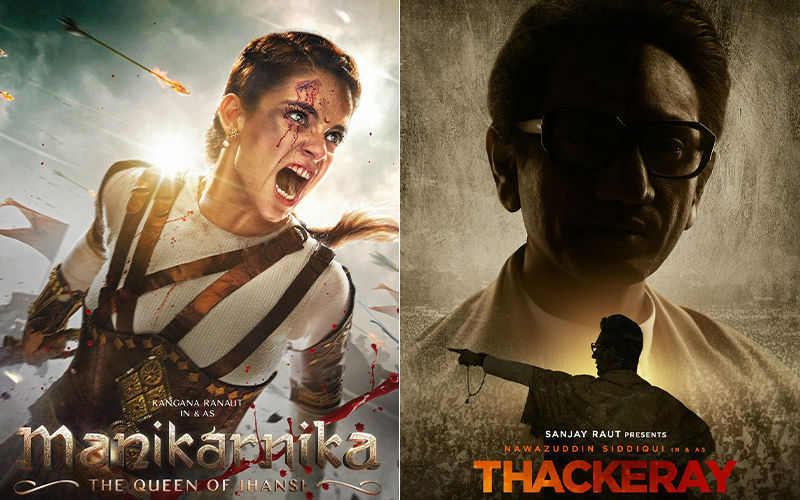 Was that (dislike to Krish's work) the reason why they agreed to Kangana making a Bhojpuri product into a Bollywood one? 4. But, why couldn't another efficient director with a past record be hired to save the expensive film? 5. Why did they not call for a meeting with actors like Sonu Sood and Swati Semwal (who played his wife but also quit when Kangana took over)? 6. Did they speak to the senior actors like Atul Kulkarni & Co when their roles were tampered by Kangana? 7. Who suggested to them that Saroj Khan be credited last in choreography credits, lower to Bosco Caesar who are much junior to her? 8. And, who gave them the right to change Krish's name to Radha Krishna Jagarlamudi in credit titles? 9. Did they see the credit titles before they were finally inserted in the film? 10. How much did they wish for their Day I collection to be? Surely, not just 7.5 crore they've got? Krish is so miffed. Do read his interview below, just in case you missed it yesterday. Mr Krish, where are you? Why were you off press for so long? Ok, but now that you're talking, can I ask you if you have seen the film? Difficult to say. But I think Kangana has done 20-25 per cent of the first half. I didn't shoot a song and I didn't shoot her entry scene (where she fells a tiger's attack). 10-15 per cent. In the second half, she has even re-shot some scenes which I had done in a different way. But it's okay now. The film is looking brilliant. I am happy that she didn't spoil it much. Has the film turned out to be the way you had envisaged? There's not much difference (pause). But (pauses again), Rani Laxmibai's counterparts are not strong. They haven't come out very well. Like for one, Sonu Sood had actually shot for Sadashiv Rao's part (later done by Ayub). Zeshan is a brilliant actor, but the audience didn't get to see what Sonu had done. If you see it, you will understand what I mean. Even Atul Kulkarni's role. He plays Tatya Tope, a very important character. But a lot of his portions have been removed. Even Kashibai's (Mishti Chakravarty) parts which I had shot, have been deleted to a large extent. (Again holds back?) Frankly, I don't think that I want people to sit and see this film under a controversy. (Cuts in) I don't know why so many characters got cut. The story would have otherwise been better. 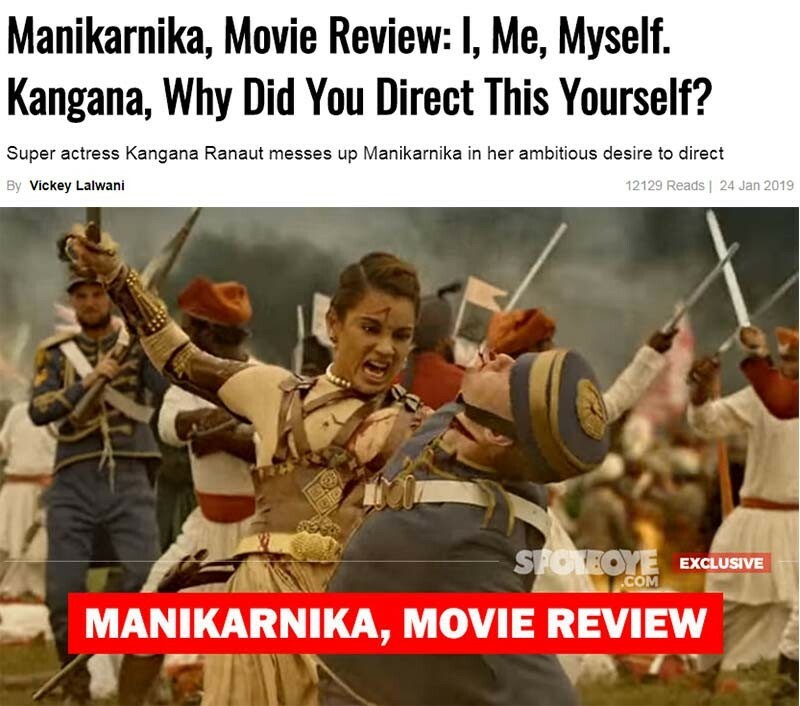 Also, why too much focus on Manikarnika's childhood? Atul Kulkarni teaches sword fighting to Kangana, we had shot some beautiful scenes. That entire thing was sidelined. Does the same apply for Suresh Oberoi and Kulbhushan Kharbanda? Everybody's role was much bigger especially Mishti's. They all have been blatantly reduced. (Again holds back?) But if I say anything more, it would amount to me talking negative about my own film. Does this boil down to too much self-indulgence by Kangana? Has she focussed too much on only herself? Let me put it this way. Kangana's footage would have been the same. But the bigger concern I have now is how it has all panned out for me. The film was supposed to release on Aug 15. The first poster which bore the date, had my name. Then came the teaser, which had my name but not as Krish which I am known as in the industry including in the credit titles of my previous films. I was given a new name- Radha Krishna Jagarlamudi - which I never use. In short, your identity has been tampered with? And wait. The teaser had my name as the first name, but the trailer which followed later had me in second place. However, I still love my film right now. It's brilliant. I love the climax. Is the climax same that you had shot? Yes. Just 4-5 shots have been added. But what were your creative differences with Kangana? How did it all start? I had finished my entire edit in June. I had completed all the reels and even given them for sound recording. Everybody even dubbed but not Kangana. She was shooting for Mental in London. She returned, saw the film and said that she liked it. She however added that she had few small concerns. After few days, she said that iska jyaada hai, uska jyaada hai, this girl is overpowering, that girl is overpowering. Then she came up with yeh change karna hai, woh change karna hai. She also said that Kamal Jain (producer) hadn't liked the film. I agreed to make some changes. We decided we needed to shoot for additional 6 days. Kangana was not required in that extra time. I discussed with Prasoon Joshi and few others how we will go about it. And then, she suddenly rose to say that Sonu's character should be killed at the interval point. This was completely against history. Sonu was playing an important antagonist, he had a beautiful arc in the story and we had shot with him beautifully for 35 days, Sadashiv (Sonu's character) would have died in the film but just little before Laxmibai's death. Did Kangana insist that Sonu should be bumped off at interval? Yes, she insisted. She said Sonu is not required in the second half. But I put my foot down. Big arguments followed. Kamal Jain took Kangana's side. What about Zee Studios (who have put lots of money in the film)? I didn't interact with Zee Studios during this period. I am not sure about this, but I think Kangana told me that Zee had asked her to ahead with what she wanted. I came away to Hyderabad to start with my next, the NTR biopic. Then, I got a call that they were doing re-recordings on the film that I had made. Not over yet, the editor was changed. The editor who had worked with me was asked to leave. A few days later, I got a call from Sonu. He wanted to know if I was directing the film further or not. And then I got a call from Kamal Jain that Kangana is getting help from some guy and they will direct the film. I came to Mumbai to meet Kamal Jain. Kangana was present at the meeting. She said the changes were small and she would manage, if I was busy. He shouldn't be convinced. I shouldn't be convinced. What was being done is not in history. And you know, I even told Kamal Jain and Kangana that. They said, "So what? Let's just do what's good for the film." 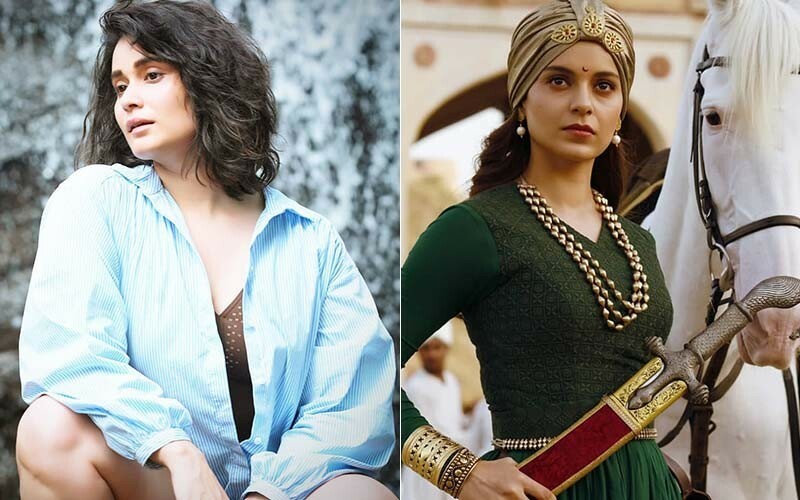 No, in fact, Ankita's role was increased (by Kangana). Everything was hotch-potch. And I am saying all this not because I want to complain but just to say the truth. That was so sad. You know, Kangana even told me that was there a certain close-up of Mishti Chakravarty. No insecurity, it was just that she wanted everything to herself. Haan. Moreover, let me tell you that Sonu even said that he was okay if I would direct, but wouldn't do it if Kangana was directing. Why do you think Kamal Jain was so obedient to whatever Kangana was saying? It happens. You get influenced if someone says yeh achcha nahin hai, yeh bhi achcha nahin hai if you are seeing the film without its sound effects. Kangana even told me that Zee Studios hadn't liked what I had made. It was looking like a Bhojpuri film. I laughed. People know my previous work. We argued but she wanted her own way. I just couldn't understand. Was Kangana rude over the phone? Very rude. She is rude all the time. And yeah, I felt very bad when I read in the papers Kangana saying that 'Sonu couldn't take orders from a female director'. That was annoying and bad. It never happened. What she said was untrue. I don't blame Sonu for quitting. His run time was 100 minutes and it was being chopped to 60 minutes. Who will agree? Nobody would. When I spoke to them about the distortion of my name in the teaser, Kangana told me 'You didn't support me in the Sonu Sood episode. Aapko abhi zaroorat hai toh aaye ho." She told me I have anger management issues (laughs), but it was she who was shouting at me. And now after seeing the film, I see my name again distorted and now in a separate slide! 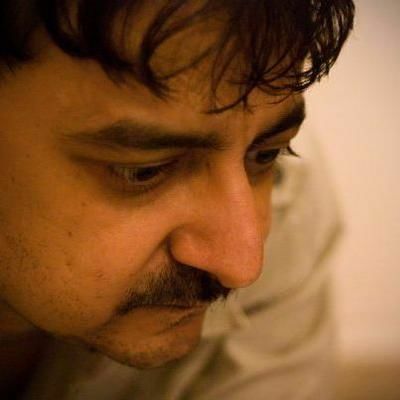 Kamal Jain is in hospital and was in bad shape until yesterday. Any idea how he is, now? Too bad. But I have been inquiring about his health, he is getting better. 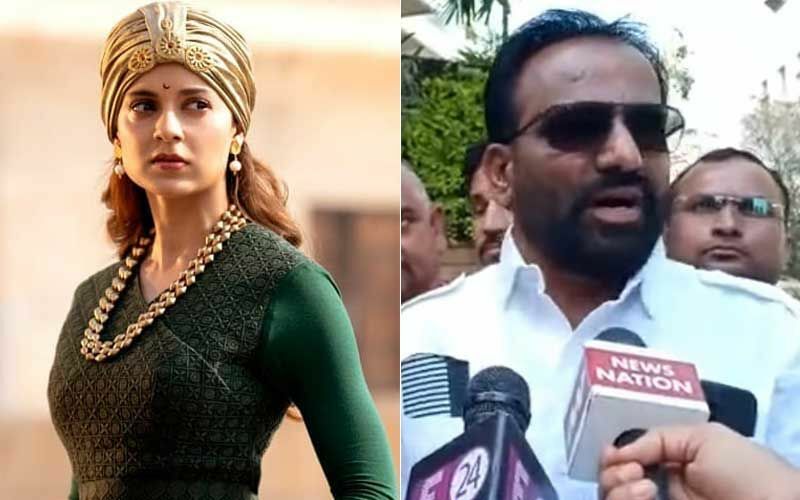 Manikarnika has gone over-budget. Do you think it even stands to recover its cost of 100 crore? It wouldn't have gone over-budget if Sonu's character had not been tampered with. Aur re-shoot karoge toh over-budget toh hoga hi. It's a brilliant film. It will (sarcasm? Hope not). Only 30 per cent of my fee. If the balance comes one day, it's okay. Will you go to the Association to complain if you aren't paid? Looking at Kamal Jain's condition, I don't think I will. I don't think how Kangana can sleep well by taking the first credit in direction when she does not deserve it.